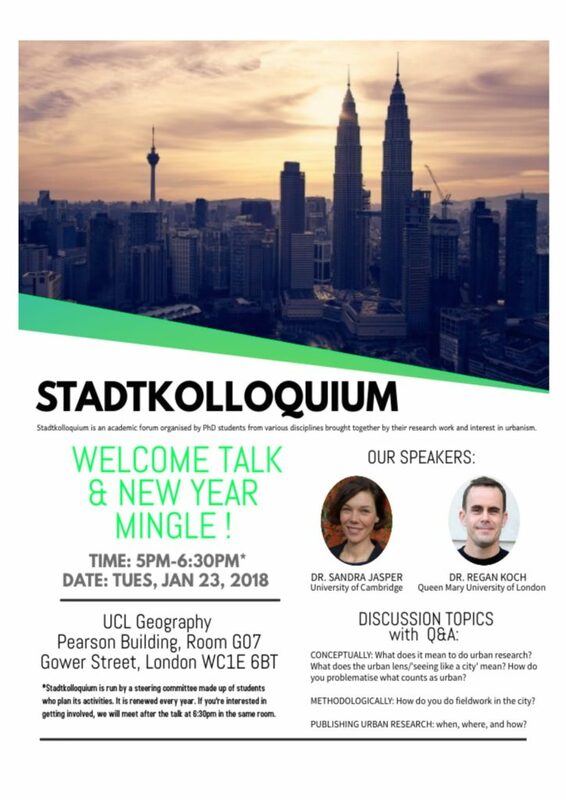 Sandra Jasper was guest speaker at Stadtkollquium, the academic forum organised by UCL PhD students from various disciplines brought together by their research work and interest in urbanism. Sandra was joined by Dr Regan Koch (Queen Mary, University of London). What does it mean to do urban research conceptually? What does the urban lens/’seeing like a city’ mean? How do you problematise what counts as urban? How do you do fieldwork in the city? Publishing urban research: when, where, and how?